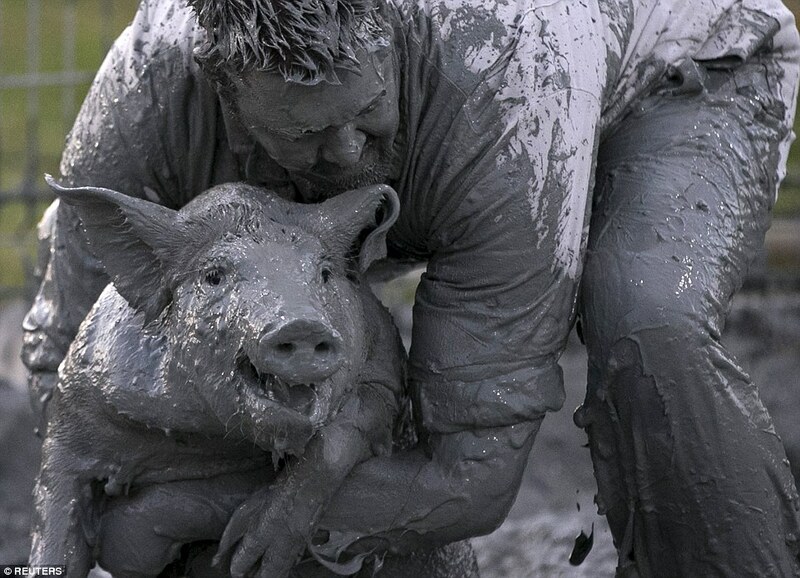 If you lie with the pig –if you embrace the pig — you will become muddy like the pig. Donald Trump is contagious. He turns everyone he touches into Donald Trump. Now he has done it to James B. Comey. If only Comey had stayed focused on what is important. But instead, he stooped, revealing a pettiness, insecurity, and need for affirmation that are among the hallmarks of Trump’s own character. The former FBI director also wanted us to know that President Barack Obama respected his integrity and his ability, even after Comey’s handling of the Hillary Clinton email investigation contributed to her 2016 defeat. He tells us that a tearful Senate Minority Leader Charles E. Schumer (D-N.Y.) sympathized with his “impossible position.” As he blasts the president for being driven by ego, Comey reveals that his own stays in high gear as well. Nor could he resist humiliating former Secretary of State Rex Tillerson on the way out, making sure that reporters were informed that Tillerson was on the toilet when Kelly delivered the news of his dismissal. In big ways and small, everyone around him ends up being Trump. Steve Schmidt, a Republican strategist who has worked on campaigns for George W. Bush and John McCain, is doling out free advice to Nikki Haley, and President Trump’s not going to like it. Haley, the U.S. ambassador to the United Nations, said on Sunday that the Trump administration was planning to impose new sanctions against Russia on Monday, which ended up not happening. Schmidt thinks Haley must step down. “Trump has shattered Nikki Haley’s credibility as irrevocably as he obliterated his moral authority after Charlottesville,” he tweeted Tuesday night. James Comey, John Kelly, Nikki Haley, Larry Kudlow — once respected, they all had their times of lying with the pig, and all now are muddied. Never mind the Michael Cohens, the Sean Hannitys, the Steve Bannons, the Anthony Scaramuccis. They began with dirty reputations that merely became dirtier from their association with Trump. But what of Sarah Huckabee Sanders, the daughter of hyper-religious Mike Huckabee, the woman who is forced, every day, to lie on behalf of Donald Trump? Her press conference responses have become a running joke. What will be her reputation and legacy after lying with (for) the pig? What of Kellyanne Conway, a bright woman whose attempts to explain what cannot be explained, are even more humorous than those of Sarah Sanders. Will she be remembered for anything other than her outrageous misstatements? Part of Mattis’s legacy will be as the general who fired 105 million-dollar missiles that hit nothing. Mr. Shaub called for nearly a dozen legal changes to strengthen the federal ethics system: changes that, in many cases, he had not considered necessary before Mr. Trump’s election. Every other president since the 1970s, Republican or Democrat, worked closely with the ethics office, he said. A White House official dismissed the criticism, saying on Sunday that Mr. Shaub was simply promoting himself and had failed to do his job properly. “Mr. Schaub’s penchant for raising concerns on matters well outside his scope with the media before ever raising them with the White House — which happens to be his actual day job — is rather telling,” Lindsay E. Walters, a White House spokeswoman, said in a statement that misspelled Mr. Shaub’s name. Sessions thought he was going to be a Trump guy, coming out early in support of Trump for president. He thought he was in for sure when Trump put him up for the U.S. attorney general job. Poor, stupid Sessions. When he recused himself from the Russia investigation, he should have known old Donnie was a fair-weather friend. Then, dare we mention Trump’s daughter, Ivanka? Remember her? She was supposed to modify Trump’s erratic behavior, essentially being the adult in the room. Having failed, she has disappeared along with her revealed-to-be-crooked husband, Jared, and her revealed-to-be-idiot brother, Don Jr. Three reputations, besmirched. Donald Trump is the tar baby of American politics. You cannot touch him and come away clean. Let us not forget the so-called religious-right, nee “moral majority,” which so long as they can own guns, deport dark-skinned people, and prevent poor girls from getting abortions (Rich girls have no problem with that), they are willing to overlook the immorality of a multiple adulterer, assaulter of women, compulsive liar, and cheater of employees, students, and creditors. In short, the religious right, faux Christians have sold their souls to the devil, and that is how history and perhaps even their Lord will remember them. In that same vein, consider the Republican Party. Traditionally, it had been the party of “law-and-order,” the party of honor and morality, the party of family values. But its leaders — Mitch McConnell, John Cornyn, Orrin Hatch, Paul Ryan, Kevin McCarthy, Steve Scalise — felt that political expedience was more important than law, honor, morality and family values. So, they defended and embraced an unlawful, immoral man, a man most distant from family values. Political expedience is proving not to be so expedient, as the nation now moves away from the Republicans in disgust, and I expect this will be reflected in coming elections. And finally, and most importantly, think about the reputation of the United States of America, being led by the least qualified President in your lifetime, perhaps ever. A damning new Gallup poll shows how the perception of the United States has changed under Trump. In 2016, 48 percent of the world’s citizens approved of the United States from a leadership perspective. By 2017, just 30 percent did. What changed, of course, was the leader. President Donald Trump has overseen a destructive period for America’s reputation abroad since he took the reins from Barack Obama a year ago. Thus, does Trump “make America great, again.” If you lie with the pig –if you embrace the pig — you will become muddy like the pig. Trump has muddied us all. Many years will be required for us to cleanse ourselves. One Response to Lie with the pig. Embrace the pig. Muddy like the pig.